2018 SME trends – Cloud migration tops the list! Has the Cloud question hit your business till now? If yes, then you might’ve already pondered a lot about the pros and cons of moving your business to the cloud. There are many ways to do this and there are many outfits like Dolphin 24x7 who can help you with migrating to the cloud. The drill is simple but it is the decision that weighs in as tough! While the optimized cost may play as your biggest case when considering migration, control and security issues would tell you to hold back. Read on to find out how SMEs are considering this question in 2018. Read more about 2018 SME trends – Cloud migration tops the list! Wrapping up Cyber Security month and very close to the 1 year anniversary of the phishing attack on John Podesta’s emails, Google rolls out the Advanced Protection Program “for those who need it the most” – we’re still figuring why they keep iterating that bit. Well nevertheless, you can enroll in it whether or not “you need it the most”. Read on to explore what the new program is all about and how it will save the galaxy. Hey folks! This post is the first in a series of tech tips that we techies at Dolphin are going to be rolling out.These tech tips are aimed at helping our reader tackle common issues with ease without the need of involving the IT or support team. We’re going to start with a fairly common issue and resolve it in 5 steps! Staying on top of application security isn’t easy as pie and in most cases often done wrong without professional guidance. To have a plan in place is the very beginning of establishing a tough front against attacks like the massive DDoS attacks from Oct ’16. We’ve outlined 10 best practices to consider when taking an organized approach to web application security. When you sit down with your IT team and create a strong plan, do keep these in mind. 85% of cyber-attacks target application vulnerabilities! With an application landscape ripe with an extensive variety, today’s developers leverage a potent mix of commercial, custom, and open source code in order to create quick and robust applications. With the rising complexity of these applications, application security has become profoundly important. This is the first post in a series of 2, where we’re going to holistically address the concept, importance and best practices of Application Security in today’s world. What is Application Security and why we Need it? 30,000 websites get hacked every day! Is yours next? We hope not. These 11 steps could make help you secure your VPS and effectively layoff hackers and cyber-attacks. We also have 1 simple step that could do away with these 11, but we’re going to talk about it later. For now, read on to find out 11 steps to securing a VPS. Good websites go bad every day! While in 2002 there were just about 20,000 threats, the number quickly grew to 1,656,227 in a single year, to the point that today more than 30,000 websites are attacked every day! Linux is comparatively secure thanks to LMS, but without a few additional measures, neither Linux nor Windows can mitigate the imminent risks. Either you do these or get an expert to help you out. More often than not, Infrastructure management is best outsourced to a reliable organization. Find out how. 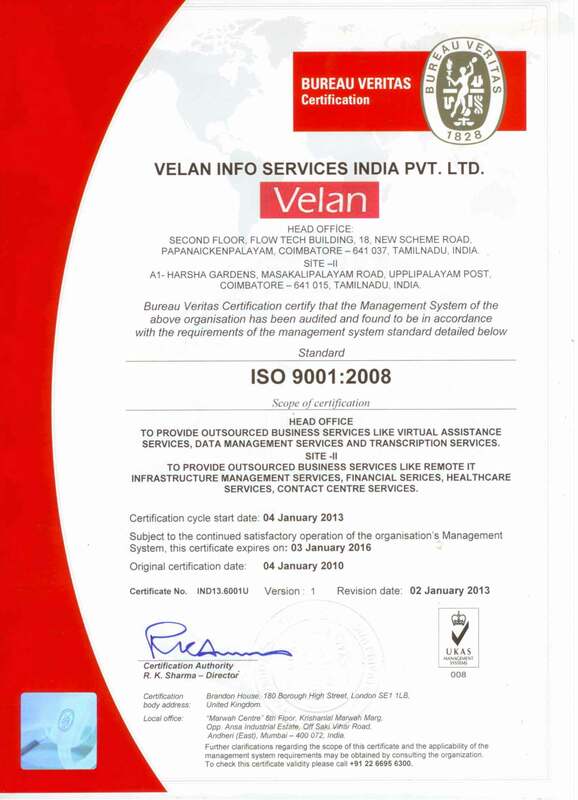 We at Velan are quite caught up in the euphoria of celebrating the 10th anniversary. It’s hard to believe it’s been 10 years already. Our success story is composed of nothing but hard work and dedication that largely remains untold. So, we thought we’d throw some light into our incredible journey so far.